Ready to experience a party like no other? We’re over the moon excited to announce an all-new immersive event coming to Kings Dominion this summer. This new festival will take place every day June 15 – July 7 and begins at 5:00 p.m. on International Street. Guests can join and celebrate the sights, sounds, smells and tastes from cultures around the world. No need for a passport – you can experience five cultures from around the world, India, Italy, France, China and Germany, right on International Street. Join each country’s celebration with authentic entertainment, live music, crafts for all ages and the most delectable food and drinks. My favorite part of the event? Beginning at 8 p.m., guests are invited to gather around the midways and take in our Spectacle of Color interactive light parade. Glowing, larger than life floats with authentic music will make their way through the park while mesmerizing street performers dazzle guests. The parade comes to an end in the festival area, around the Eiffel Tower where the performers will join guests in the ultimate nighttime event, the Carnivale Street Party. Don't miss out on the party this summer at Kings Dominion! 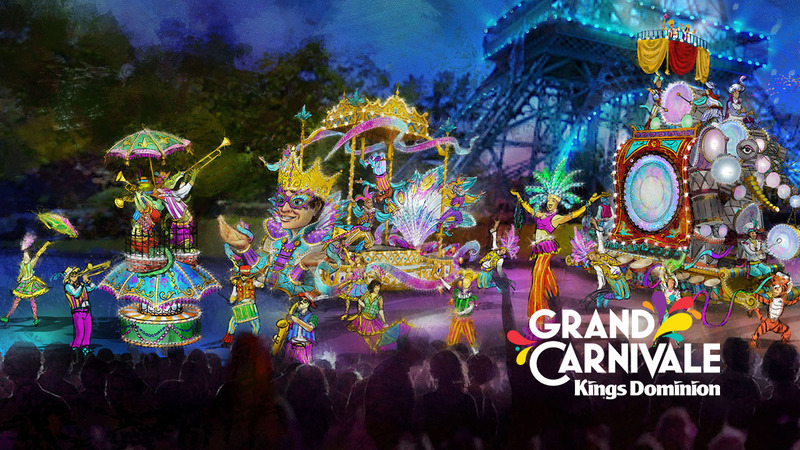 Get unlimited visits to Grand Carnivale with a Gold Season Pass! 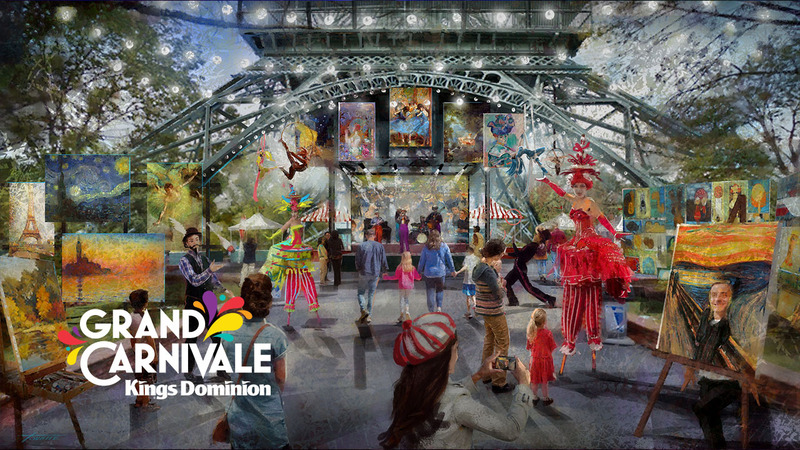 Entry to Grand Carnivale is included with park admission.